Canarsie had a vibrant music scene during the 60's & 70's, but if you wanted to see any kind of concert you had to travel to Manhattan. In late 1970 my pals and I discovered the Fillmore East. 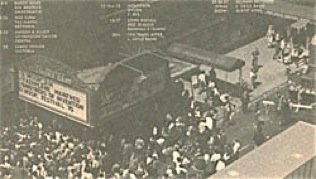 Although the Fillmore had opened it's doors in March 1968 (2 1/2 Years earlier), being only twelve at the time my parents had other ideas about letting me go. Although Canarsie is a relatively small area, I've had the pleasure of meeting and playing with many talented musicians. The music scene of the early to mid 70's was a special time. While thinking about it many years later I've come to realize that I've had a few stories to tell. I heard magical stories of how people like Jimi Hendrix, The Who & The Grateful Dead would play for hours. When I was finally granted permission to go, a whole new world of music opened up to me. We could not stay away from the place. Every weekend would be another amazing concert. We saw everyone from Albert King to Frank Zappa, but on March 12th 1971 our lives were changed forever. 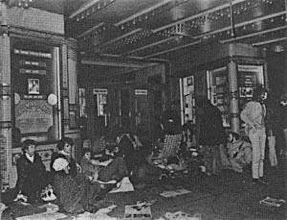 We were big Johnny Winter fans and when tickets went on sale we were one of the first on line. The lineup for the three nights was Johnny Winter, Elvin Bishop and a little known group called The Allman Brothers. We did not know much about the Allmans except they were supposed to have two drummers & two great guitar players, one who played slide guitar. Well, from the first few notes of Statesboro Blues we were hooked. This was not just another opening act. We knew from the start that this band was going to be big. They played for hours and rocked the Fillmore like no other band that we had seen before. We went out the next day and bought their first two albums, "The Allman Brothers Band" & "Idilewild South". The Allmans were the talk of Canarsie High School on Monday morning. A Few Weeks Later the now classic "Live At Fillmore East" double album was released. A killer recording of the best moments from that weekend in March. We were at the record store the day it came out and that record was glued to my turntable for the next several months. We were full fledged Allman Brother freaks.